Briggs’ affinity for incorporating hardscape features such as basket weave brickwork, stairs and flagstone are evident in this design commissioned by Mr. and Mrs. J.T. Hopkins. 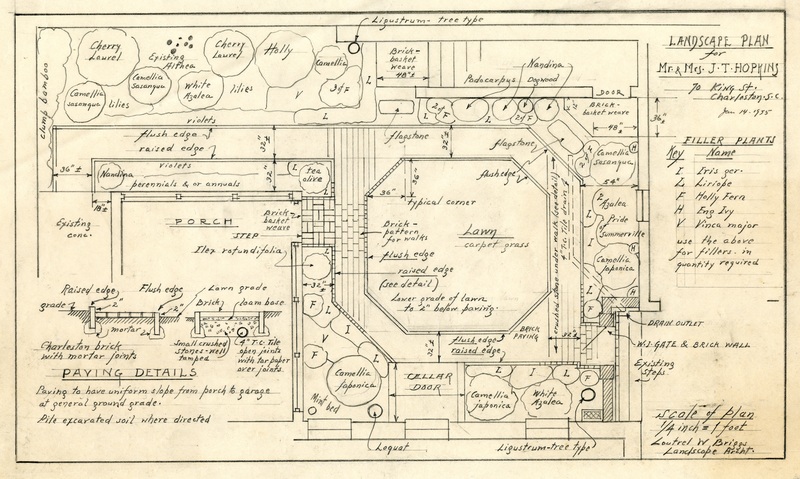 Landscape plan for Mr. and Mrs. J.T. Hopkins. Courtesy of The South Carolina Historical Society.